The wise saying, "Breakfast is the most important meal of the day" has been spoken by countless moms throughout the ages. It has been whispered in the ears of school children on early-to-rise mornings for centuries, yet the depth of understanding as to why breakfast is so important has only been brought to light in recent years. The side effects of not eating breakfast negatively impact weight, hormonal health, memory, cognition and mood. Obesity and its ensuing complications -- such as diabetes, infertility and heart disease -- are some of the biggest concerns of the 21st century. 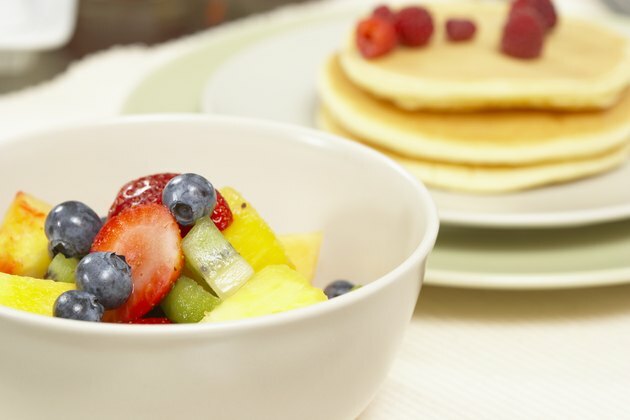 Skipping breakfast may increase your risk of obesity or make it harder to lose weight. The Weight-control Information Network reports that if you eat breakfast you are less likely to overeat throughout the rest of the day. Since you fast overnight while sleeping, forgoing breakfast adds to this fasting period and may disrupt blood sugar balance and insulin output. Skipping breakfast may also trigger bad eating habits throughout the day, as cravings ensue and quick-fix fast foods are often sought out. Furthermore, eating breakfast boosts your metabolism and increases your energy throughout the day. A study in the August 2013 issue of the "British Journal of Nutrition" reports that when you do not eat breakfast, your energy is reduced and physical activity levels decline. Skipping breakfast is often a common occurrence in the lives of college students running late for class. An August 2010 survey study, published in the journal "Appetite," notes that female college students who consistently skipped breakfast had more menstrual irregularities. These dysfunctions included the severity of painful menses and irregular menstrual bleeds. No difference was found in premenstrual syndrome, or PMS, symptoms, but the breakfast skippers also suffered more consistently from constipation. Women of college age are still undergoing what the article called "post-adolescent maturation," and skipping breakfast negatively impacts this growing stage. Healthy eating initiatives across the nation have advocated for children eating breakfast before school. In fact, many schools open early to serve breakfast for children who may not be served this important meal at home for whatever reason. A Centers for Disease Control report on guidelines for school health programs states that skipping breakfast negatively impacts a school-aged child's ability to effectively problem-solve. Students who consumed breakfast tested higher in standardized test scores, were absent less from school and were more on time to class. A large percentage of the population is self-categorized as "moody morning people." A moody temperament is noted to improve when breakfast is consumed, according to a 2002 BBC News World Edition article. The article survey noted that 26 percent of people experienced large improvements in mood when changes were made in diet, such as consuming breakfast regularly. Not eating breakfast increases your risk of hypoglycemia or low-blood sugar. This condition can bring on physical symptoms such as shakiness, dizziness, weakness, headaches, tingling and a rapid heart rate, according to the National Institutes of Health.